Berkeley is home to a great many cheap and delicious eateries perfect for the student foodie. We at the Clog have compiled a list of the quintessential restaurants in Berkeley that you have to make a pit stop at during your visit to the city. While there are a lot of really awesome, more student budget-friendly options such as the Melt, where one can find both milkshakes and a mac-and-cheese grilled cheese, and Top Dog, a Berkeley classic hot dog spot, we recommend saving these places for the late nights during Welcome Week. For amazing pizza that’ll change the way you view the cheese and bread combination forever, wander over to Cheeseboard Pizzeria. 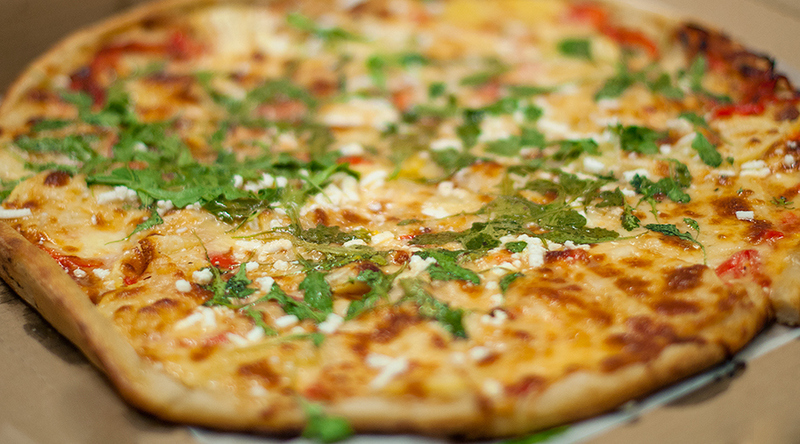 Cheeseboard has a different pizza and salad combination every day, always utilizing seasonal ingredients. This pizza’s on the pricier side, so it’s perfect for when you’re with your parents. As UC Berkeley students, we don’t often get as far into Northside as Cheeseboard, but Sliver in Downtown Berkeley offers a very similar product with the best dipping sauce known to man. Started by veterans of Cheeseboard, Sliver utilizes the one flavor a day rotation, and both establishments boast a very Berkeley business model. For dessert, we have to recommend a trip to CREAM for classic Berkeley fare. Treat yourself to a warm cookie and ice cream sandwich, but be prepared to stand in line if you go at night. If you just want ice cream, Ici is Berkeley’s most popular creamery. With daily rotating flavors such as earl grey, passion fruit-candied orange and the ever-present chocolate and vanilla, you’re sure to find something interesting and delicious. If you’re not willing to wait in the Ici line either, which can extend 20 feet down College Avenue on a particularly nice day, Tara’s Organic Ice Cream is just a few more blocks down and is just as yummy. Head over to Caffe Strada, across the street from campus’s Kroeber Fountain, for a great cup of coffee. The cafe offers a great view of students with their noses stuck in thick volumes or furiously typing an essay due later that afternoon. If you’re not in the mood for coffee, order an Italian soda with your choice of syrup flavor. Another great place for coffee is Equator, situated in the brand new ASUC Student Union building, which serves the best vanilla latte you’ll ever have. If you’re visiting with your parents, consider getting them to pay for a fancy brunch or lunch at La Note (gingerbread pancakes — need we say more?) or Venus. If you’re by yourself, the Sunny Side Cafe has the best scrambles. Try the Grand Canyon Scramble, which has avocado, bacon and chiles and is served with black beans and tortillas. Plus, right next door is Cinnaholic, where you can get a cinnamon bun with any toppings and icing flavors you want for later. We at the Clog hope this eating guide helps you make the most of your visit here and entices you with ice cream, pizza and brunch to live the Berkeley way. Choosing where you’ll live for the next four years can seem daunting and heavy, but maybe it’ll seem less so with a homemade coffee-marshmallow ice cream cone in your hand.